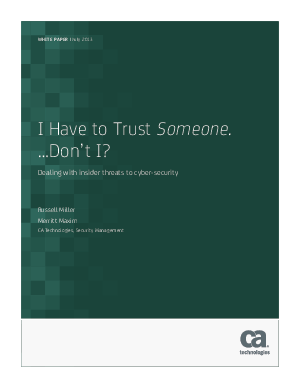 While many organizations focus their security efforts on their network border, it is the insider that perhaps poses the most risk to cyber-security. From executives to IT administrators to partners, many people have access to sensitive data that if publicly exposed, could have significant ramifications to an organization’s business—or even its existence. Download this paper to find out about the technology available to help reduce the risk and enable information sharing within an organization.